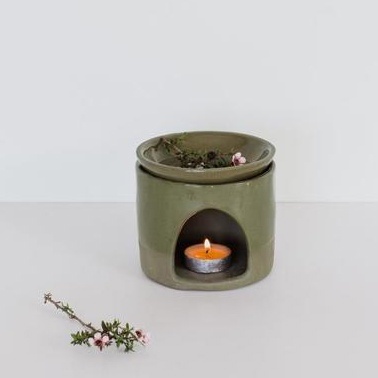 Handmade earthenware oil burner, half-dipped with transparent glaze on sage green clay. Comes in a natural cotton bag. Handcrafted in New Zealand.